Don’t let financial considerations to be an obstacle to your self-improvement. Cosmetic surgery can be an excellent investment in yourself, and our plastic surgeon, James Matas, MD, wants to help make your experience affordable. Since different patients have different needs, we provide various payment options for your convenience. If you are considering financing to help with the cost of your treatment, we suggest submitting a quick, easy online application for CareCredit®. CareCredit® is a trusted third-party lender that provides loans exclusively for healthcare services. Qualified applicants can take advantage of low monthly payments on affordable loans that fit their treatment needs and budget. With CareCredit® you can follow through with your treatment plans without having to save up a large sum of money first. If you have questions about how to fill out your application for CareCredit® or want to know more about how the process works, one of our knowledgeable team members will be happy to provide you with the information you need. 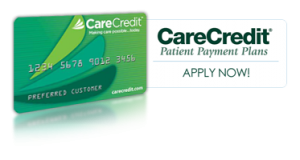 Once you receive approval from CareCredit® you can move forward with your treatment or scheduling your surgery. Soon after, your CareCredit® card will arrive in the mail. This card is run like a normal credit card and can be used to cover any appointments and costs associated with your treatment. For us to give you the best advice, we need to assess individual factors as they relate to your overall goals and objectives. You may consider some questions personal, but your answers help shape our suggestions to you. This evaluation is not designed to replace a consultation and evaluation by Dr. Matas. Once you complete and submit this form, a member of our team will contact you to discuss your goals further. Please allow up to 48 hours for this to be processed. Please describe the type of improvement you are seeking and be as specific as possible. If you are seeking improvement to your breasts, for example, would you like to increase your cup size, increase firmness, lift the breast, etc. A procedure can be satisfactory according to the standards of our industry, but this is no guarantee that patient satisfaction will be achieved, since there are a variety of personal and psychological factors that contribute to this. What changes would you like to see once your surgery and recovery has been completed for you to consider your experience a success? Increased self-confidence and esteem, decrease in dress size, better fit in clothing and acceptance of family members are some examples for you to consider. If a certain time frame needs to be considered for your procedure, please indicate here. For instance, if you will need to be totally recovered by your wedding day, or have two week’s vacation already reserved, let us know. The more information we have regarding your plans, the better we will be able to help you. In addition to accepting cash, check and all major credit cards as payment for services, we offer a financing program that allows you to make monthly payments rather than pay one payment in full. Please indicate whether you MAY need financial assistance in order to have your procedure. Is there anything else you would like us to know about before we begin? Call or click today to schedule your consultation. Whether you are ready to schedule your consultation, or just have general questions, we are here for you! Ask our surgical coordinator, Normajean, today.